Ashley Edwards Bass, a Hammond native, obtained her Bachelor of Science degree in Psychology from Mississippi State in 1989. She then received her Juris Doctorate from Louisiana State University Law Center in 1996. From 1995-1997, she worked at the 21st Judicial District Court as a law clerk. She was admitted in 1996 to practice in Louisiana, and joined the firm of Cashe, Lewis, Moody & Coudrain in 1997. She became a partner in 2002. During her undergraduate studies, she was a member of Chi Omega Sorority and appeared on both the Dean’s and President’s Lists. Currently, Ashley is a member of the Florida Parishes Inns of Court, the Louisiana State Bar Association, and the American and Federal Bar Associations. 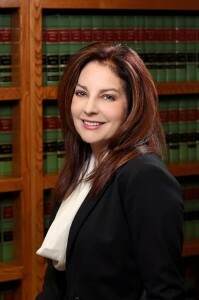 She is also a member of the Association of Defense Trial Attorneys, the Louisiana Association of Defense Counsel, the 21st Judicial District Bar Association, and the 22nd Judicial District Bar Association. A former board member of CASA (Court Appointed Special Advocates) and of the Hammond Junior Auxiliary, Ashley remains active in community organizations. She served on the Board of the Hammond Chamber of Commerce as the co-chair of the Education Committee and the Steering Committee for the accelerated learning program. She was active in the development of the Magnet School Pilot Program. Ashley is also a past board member of the Tangipahoa Chapter of the American Cancer Society. She is also on the Board of Trustees for the LSU LAW School. She was named JA Woman of the Year. Ashley is a member of the Holy Ghost Catholic Church in Hammond and served on the Holy Ghost School Board where she has also served as Chairperson. She also serves on the Baton Rouge Diocesan School Board. Ashley holds a Peer Review standing of ‘AV Preeminent’, the highest possible review classification determined by reviews from others in the legal community and as listed in the The LexisNexis Martindale-Hubbell Attorney Directory.